world-class scientific and technological excellence in interdisciplinary fields. EIROforum works closely with industry to foster innovation and to stimulate the transfer of technology. 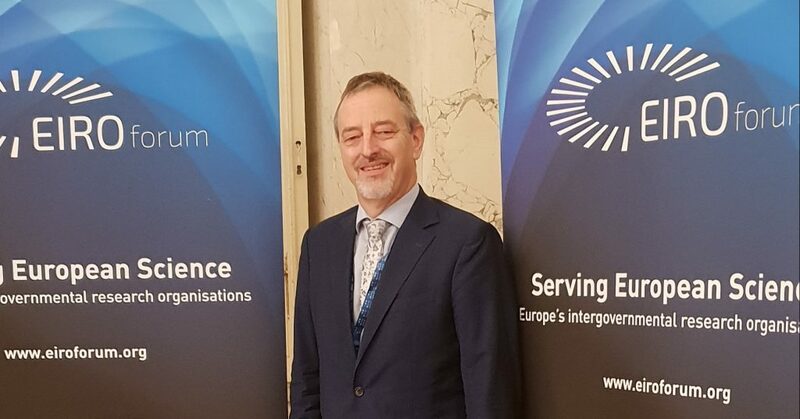 At the EuroScience Open Forum (ESOF), EIROforum was present to showcase the science, technology, business, career and cooperation opportunities that come from pooling together resources from large European research organisations. EIROforum was delighted to attend ESOF, which represents a key European event for science and innovation. ESOF is the ideal venue for us to demonstrate how our organisations have a positive impact on society. In the “Big, small and fast nature” science session, our experts discussed how we use the EIROforum research infrastructures to work towards an understanding of nature and the Universe, when revealed at their largest, smallest and fastest scales. Beyond the fundamental science, this year’s themes of Healthcare, Sustainability and Materials were particularly relevant to us and were showcased with examples at our stand, which was organised by our dedicated working group on Innovation Management. The stand focused on the many technologies, spin-offs and industry opportunities that our organisations are involved in. Our knowledge and technology transfer activities extend beyond these themes in a broad range of domains. These technologies were presented at exhibition hall events on Healthcare, Improving Society, and Business Opportunities, as well as a session on “Creating Local Business Value from European Big Science Facilities”. EIROforum is built on the scientific and technological capital of our research organisations, which is only possible thanks to the qualified international human capital that contributes to it. In order to encourage and nurture the next generation of professionals, EIROforum is dedicated to promoting its activities and our Human Resources session at ESOF explained how others can take part. 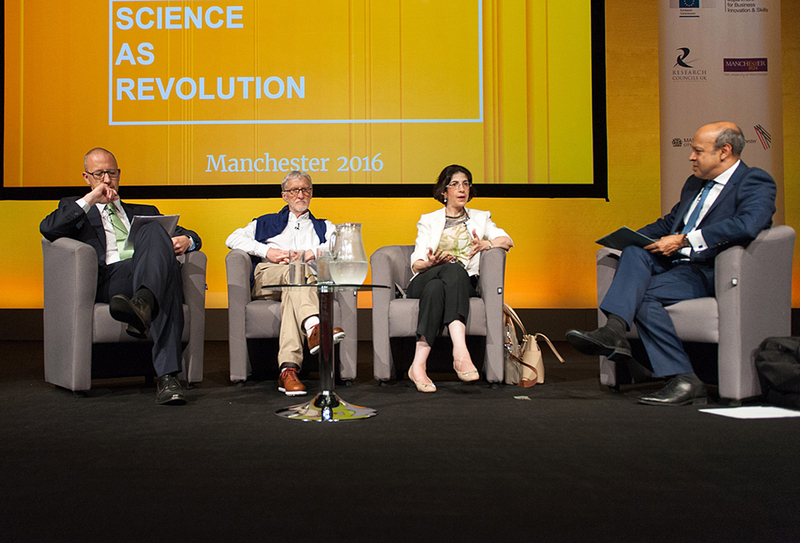 ESOF attracts leaders in industry, research, technology, science, journalism and policy. This is exactly the right mix that accelerates the innovation process which benefits all of society. The large number of ESOF participants, and the broad range of their backgrounds gives us access to an invaluable network of thinkers dedicated to innovation. In Lisbon, young scientists from Czech Republic, Poland and Hungary were acclaimed as 1st prize winners of the European Union Contest for Young Scientists 2010. The projects, which analysed physics, biology and social sciences were selected from 85 projects coming from 37 countries by an International Jury. Second prizes, third prizes and the International prize were awarded to 7 other projects, from Poland, Germany, Portugal, Latvia, Italy and Brazil. The 16 winning contestants, aged from 14 to 21, shared a total of € 51.500 in prizes for their top-quality innovative scientific projects. Information on the winners and on all of the projects presented is available here. The Museum of Electricity in Lisbon (Portugal) has over the last few days hosted 125 contestants from 37 countries across Europe and beyond, including Canada, the USA, China, and Brazil. From 24-29 September, the students presented 85 projects to an International Jury chaired by Prof Hagit Messer-Yaron. These projects had already won first prize in their national contests. The topics covered a broad spectrum of scientific areas: biology, chemistry, computing, social sciences, environment, mathematics, materials, engineering and medicine. The standard of entries is consistently high, and several past participants have achieved major scientific breakthroughs, or set up businesses to market the ideas developed for the Contest. The European Union Contest for Young Scientists was set up by the European Commission to facilitate co-operation and interchange between young scientists with similar abilities and interests and to give them an opportunity to be guided by some of the most prominent scientists in Europe. The Contest aims to encourage young people who have an interest in science to embark on scientific careers. It is part of the Science and Society programme under the Seventh Framework Programme for Research (FP7). This year, the EU prizes were presented by Ms Anneli Pauli, Deputy-Director General at the Research DG of the European Commission, together with Prof. Hagit Messer-Yaron, President of the Jury. The contest started in 1989 with the participation of 15 countries. This year, 37 countries and one of the European Schools are taking part in the 22 edition of the contest. A total of 2074 participants (627 girls – 1447 boys) have competed since the start of this International event. More than 500 prizes have been distributed! More information about the EU Contest for Young Scientists, including photos, success stories, biographical details of the jury and descriptions of all projects. The current Chair of EIROForum, EFDA-JET Leader Francesco Romanelli, handed out the certificates to the winners of the EIROForum prizes – an all expenses paid week with one of the organisations. The previous evening, students had listened to two speakers on the subject of “Energy Research in EIROforum in the 21st century”, Maximos Tsalas of EFDA-JET and Claus Habfast of ESRF.